I have to admit this model has been made for some time now, but a scan of the scratchbuild section shows I have not done a review of it?? Mmmmm? Can’t understand why, because it does contain a couple of what were at the time, new innovations, (to me anyway). The first was the front motor with drive shaft to the rear, and the second, which was a part of that, was the ballast fixing. But more of that later. 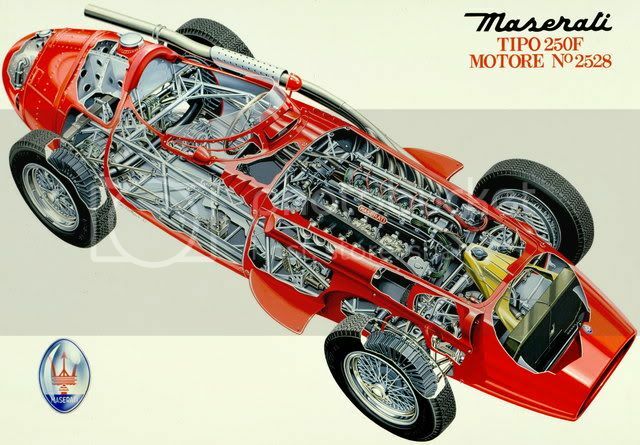 I won’t go into a monologue about Maserati as I am sure we all know that they were a bespoke racing car manufacturer originally from Bologna (Italy) who, with the cancellation of a manufacturing deal, raced their product under their own name. New owners moved the factory to Modena and it was time to go head on with the other big boys of GT racing. Their biggest change came when they were acquired by FIAT in 1993. In recent times they have had success in the FIA World GT championship with the MC12. 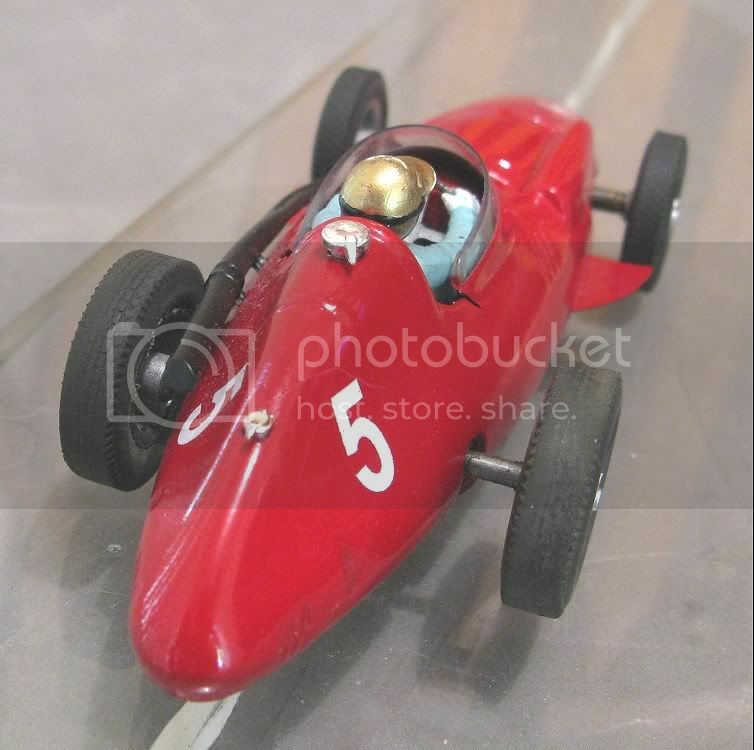 The Scalextric model had already been released when I bought this kit, I had the Scaley one too, but fancied a challenge. 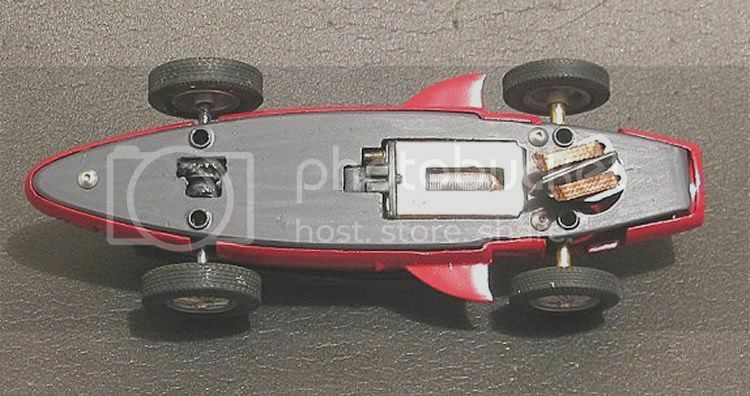 The Scaley model was good plastic but I felt it was a bit skittish as a non magnet car on a board track. The main problem being the motor was too quick for the cars footprint and the tyres were less than adequate for a car of this type. I fancied putting an SCX motor in one to see how it would go. I have used these motors in the past and found the combination of the slower motor and the extra weight it carries made a nice driveable model, especially in classic models for home use. So the SCX RX81 it was to be, mainly because the RX81 has a long shaft. The model was purchased from the now defunct MRRC business in the Channel Islands and as a kit t came with everything needed to finish the body side of the model. It is a nice broad model too which meant there wasn’t gong to be any trauma fitting the motor in. 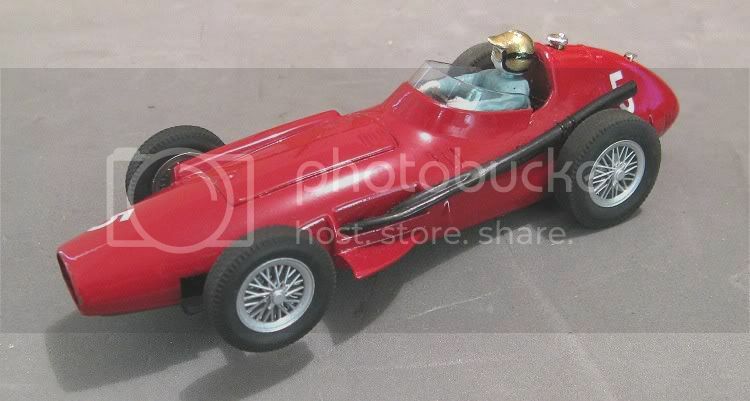 I pondered very briefly on the choice of chassis but it was always going to be a Wixwacing PCB chassis and fittings. 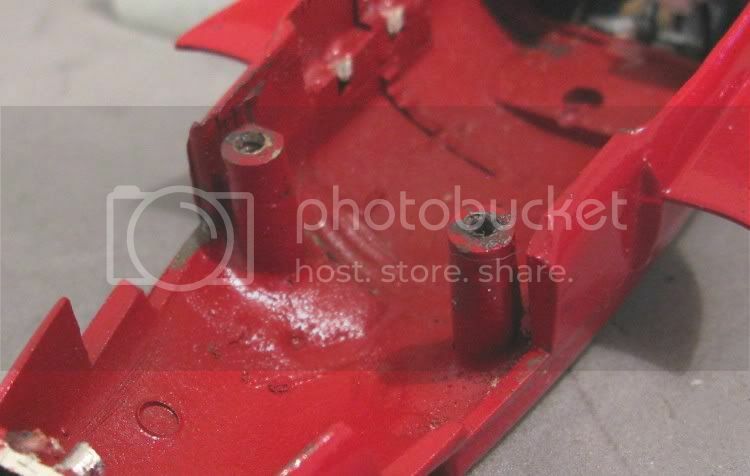 The chassis was duly drawn out and cut and the mounting posts were made and fixed quite early on in the piece. This helped me decide exactly where the motor was to fit. I had also decided to use a full length driver, so the motor was to inevitably be mounted towards the front to give the driver a bit of leg room. 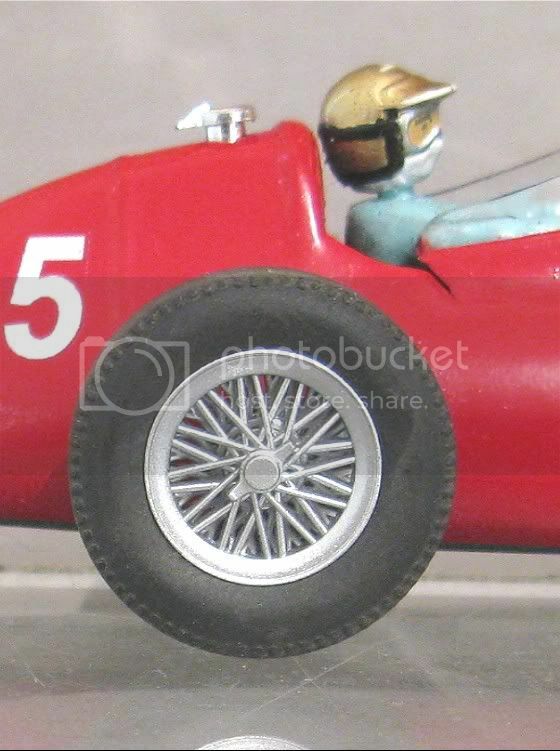 The motor was located and provisionally fitted in a cut out in the chassis and the axle mounts were made and fitted. 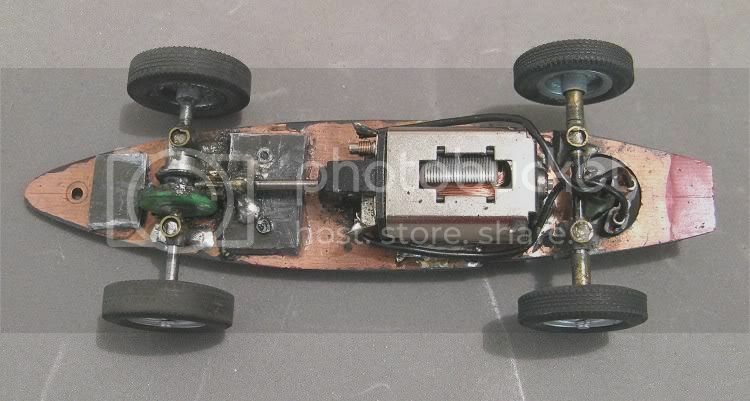 Wheels and tyres were mounted on dummy axles and the guide tube depth and axle positions were determined and fixed in place with a spot of solder. Once the model was looking good on its wheels, the axle mounts and the guide tube were soldered more permanently in place. The wheels, something which had been the hardest to source in days gone by, were now the easiest!! 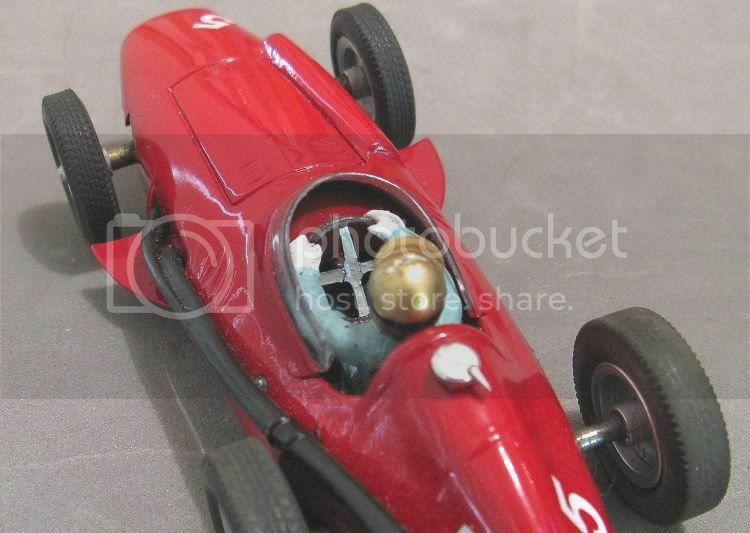 A front and rear axle from the Scaley Ferrari 375 were purchased from Scalexworld and the rest was a piece of cake!! The motor was located I n place in the chassis and the body rested on top. The front and rear axle weights were weighed and the decision was to increase the rear end weight by about seven grams. Great if it’s a GT or a sedan, but not so good for a classic GP! There’s not a lot of space in the rear where weight can be added, and the thing I wanted to avoid was adding weight behind the axle. With the spindly Scaley tyres at the back, the tail would end up wagging the dog. So, with space at an absolute premium under the driver, I decided to lay a flat piece of lead in front of the rear axle and have it as thick as possible to maximise space available. Normally I would superglue ballast in place, this gives me an option of playing with it if I don’t think it is spot on. This time I needed to apply some sort of brace to the pinion shaft. The SCX 4WD motor is all very good, but if the long front shaft is unsupported at the pinion end, there is a tendency for the shaft to judder up and down, much like it does in some SCX rally cars. With these two criteria to meet, I did decide to glue the main ballast in place, but as insurance I drilled a couple of holes from underneath and added a couple of countersunk Scaley driver’s tray screws, just for peace of mind!! 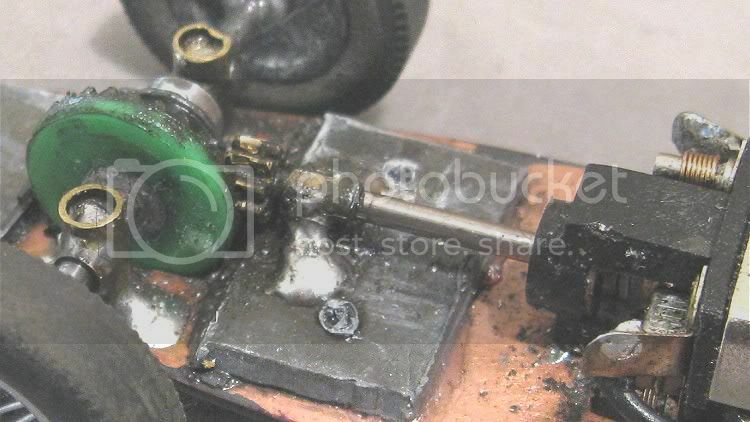 The motor shaft then had a brass collar slipped over it and this was soldered to the lead in turn. I still had a couple of grams to fit so reluctantly it was put behind the rear axle. But as it turned out, it wasn’t nearly so painful as I was expecting. With this the motor was finally soldered in place and the chassis was run ‘sans coche’ for a bit just to settle the whole drive train in. While all this had been going on, there hade been several occasions when the chassis was drying or curing or something was setting. This gave me ample time to paint the driver and the model, clear coat it and apply the decals and one last coat of clear. 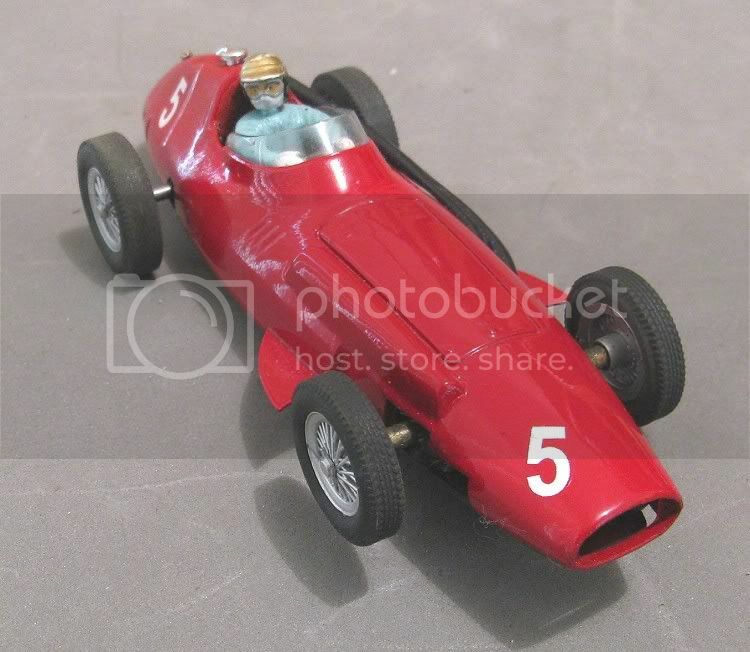 I had also made a rudimentary cockpit and steering wheel and with the driver glued in place, I ground away at his vitals until the body sat neatly over the chassis, and the driver neatly over the drive shaft, et voila! So how does it go? Quite well actually! As a non magnet car it drives really nicely and the SCX motor makes sure it doesn’t rip round the track at 100 kph; and its weight also provides a lot of stability. 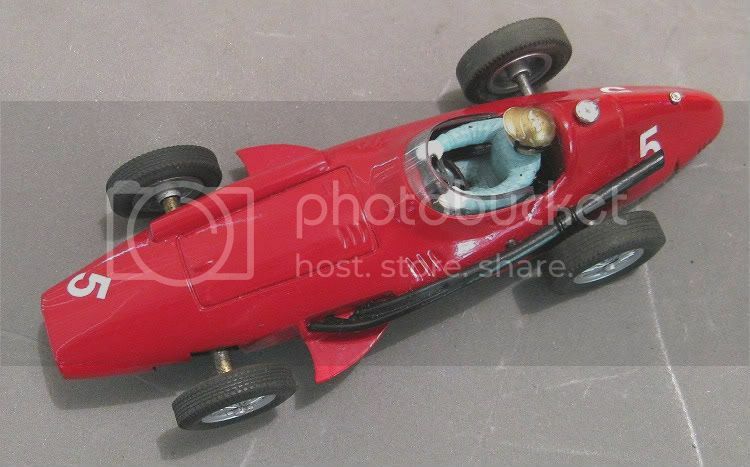 The wheels and tyres look very authentic too, but I won’t pretend that it is a contender with a Cartrix. Nonetheless, it is quite nippy and I have finished halfway up the results in an average field of about fourteen racers with it.